I have to remember too many passwords. I have so many passwords that I just write them down. I have so many passwords that I use simple passwords so I can remember them. I use the same password for everything. I have two hopes with this post. One, you will start using stronger passwords that you can easily remember. Two, you will not use the same password for every website or computer you log into. 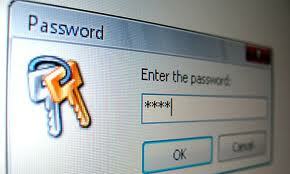 Doing these things makes it way too easy for crooks to gain access to your information. I have two recommendations that may help you get your password sanity back – create a strong base password andor use a password manager. Something that you have been interested in or loved all your life. Your favorite food, car, restaurant, city, team, etc. Anything that you know really well or think about all the time. A password that is 6-10 characters long. Everybody knows I really love Mongolian BBQ. The only changes I made to my base password was adding two uppercase letters, a dollar sign and two numbers. Now according to the same password checking website, it would take 928 years to crack this password. One reason for adding 01 at the end is for situations where you have to change your password often. When it is time to change your password, keep the same BASE password and just change the number from 01 to 02, 03, etc. I added GM on the end for Gmail…Google Mail. There are free (and some that cost money) programs you can use to help you manage your passwords. Basically, all you have to do is remember ONE strong password and then you will have access to all of your other passwords. These programs can even help you generate your other passwords and some can automatically log you into your favorite websites. I currently do not use any password manager program. However, I have listed three that many people seem to like. Please make sure you carefully read how each of them work before you decide which one to use… if any.